What is this elliptical orbit? Most natural elliptical orbits are one sided as shown below from wiki. 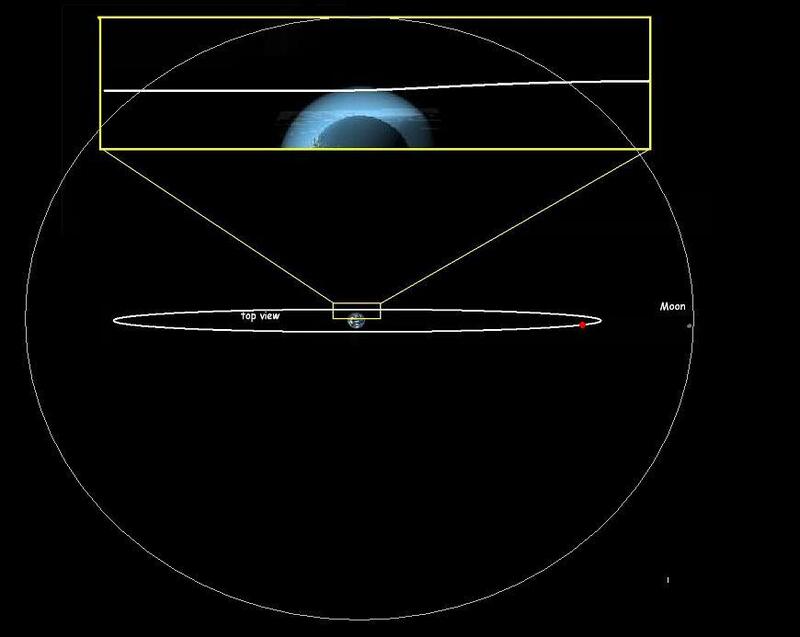 What is an elliptical orbit where perigee and apogee are closer to being equal in distance than not? I have learned that this orbit would not be possible without spending energy and is not a stable orbit. That second picture is not an elliptical orbit (at least, not as elliptical as depicted). It is a roughly circular orbit viewed from the side. Any orbit that appears as such (elliptical, but with the main body in the middle rather than at one of the two foci) is just a circular orbit viewed from just above or below the plane of the orbit. Not the answer you're looking for? Browse other questions tagged orbit identify-this-object or ask your own question. How is it that all planets (and moons) in our solar system are in equilibrium orbits? Why are these objects moving at Vastly Different Speeds along the same orbit? Does the Giant Impact Hypothesis explain how the Moon circularized its orbit? Can one approximate the semi-major axis of an orbit as the average orbital distance for eccentric orbits?